Our experienced, certified National Instruments LabVIEW engineers and software architects develop custom test and measurement automation systems for all kind of applications ranging from instrument control, Line automation, industrial automation, Data acquisition systems, test and measurement to fatigue test systems. We have a years of experience using NI hardware and software modules for system development. Our core expertise is in NI-cRIO, PXI, PXIe and Real Time systems. Our engineers use advanced techniques to achieved complex functionality with a small footprint, manage resources and ensure long term system stability. We use advanced techniques like object oriented programming, dynamic and scalable user interfaces and hardware abstraction layer. 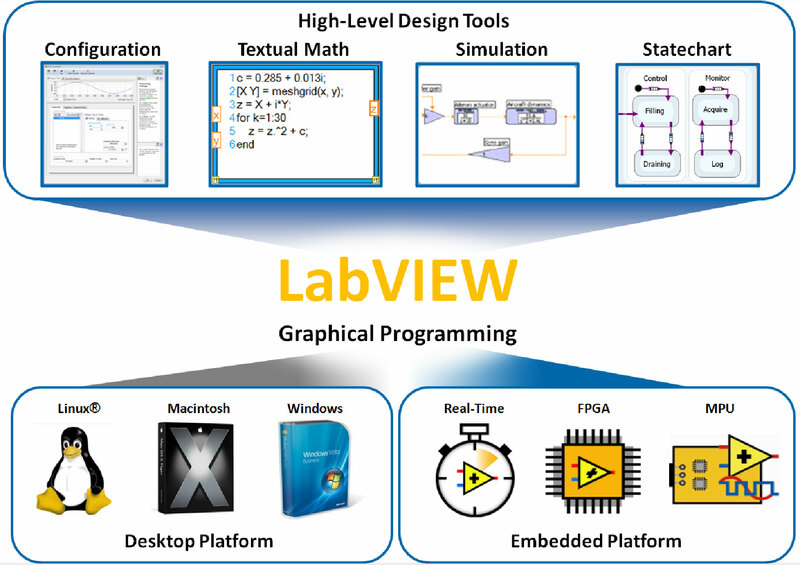 We have a team of LabVIEW engineers who bring years of experience and field knowledge to every project. Emsol provides comprehensive industrial test and measurement systems development services featuring National Instruments platforms. We use proven software design methodologies in a process that repeatedly assures on time delivery of scalable and modular test and control automation software. From coding style to configuration and requirement management, Emsol has developed a remarkably disciplined culture for engineering software and system integration best practices. Real time and embedded control systems. Data logging and custom reports.